At WWDC 2017, Apple announced to adopt most of the trending technologies and building upon them in their true fashion. The company made a significant change within their embrace of electronic truth with several new VR announcements. Apple is finally bringing virtual reality support to its Mac laptops and desktops. Craig Federighi announced that Metal 2, the company's updated hardware-accelerated graphics API, will be launched with support for external graphics and a set of VR-specific features for desktop operating system macOS High Sierra. The internal upgrade will bring the PCs up to speed and provide more powerful performance to the system. Dubbed ‘Metal for VR', the update will provide developer features such as a viewport arrays, system trace stereo timelines and much more. It is also said to support Unity, Unreal Engine and the Steam VR SDK. 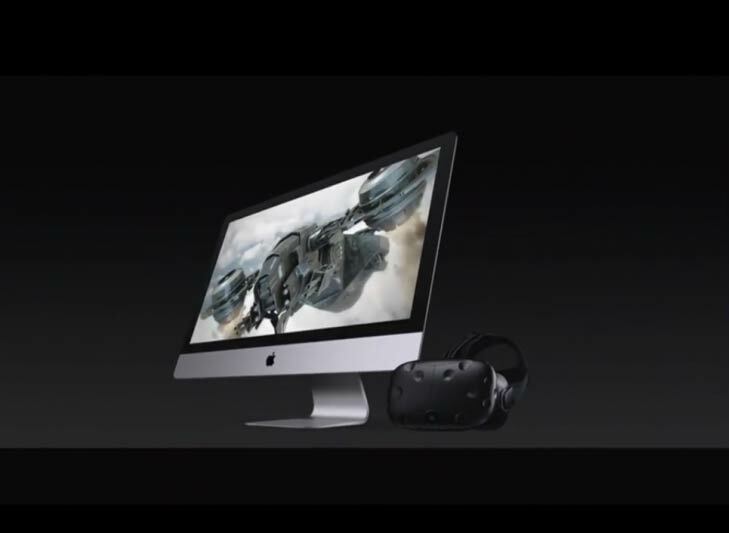 Apple announced that latest 27-inch iMac will be the only computer in newer iMac lineup to be VR prepared, due to the addition of an AMD Radeon 580 GPU. It is claimed to provide everyone from video editors to 3D animators to musicians providing them with a platform to do what they like to do in a way that they have never experienced before. The system has Retina 5K display which is VR-ready too and could be configured with Radeon Pro 570 and 575 GPUs that which delivers up to 11 Teraflops of computing power. They also revealed that Lucas Film's ILMx Lab has been using the 27-inch iMac to develop a new Star Wars themed real-time creation. Apple announced to make test kits available to MacOS developers soon, including an AMD Radeon RX 580 card and a USB-C hub in a box with a Thunderbolt 3 connector which is sufficient for developers to get started building virtual reality games and apps for the Mac though iMac Pro is scheduled to ship in December starting at $4,999 (US).